Singaporeans are being spoiled by their government. The already IMO super-save MRT (mass rapid transport) got another safety precautions – they have been erecting glass walls all over the place along the perimeter (funded from their relatively high tax, I suppose). But I have to admit, they always do this sort of things in style. 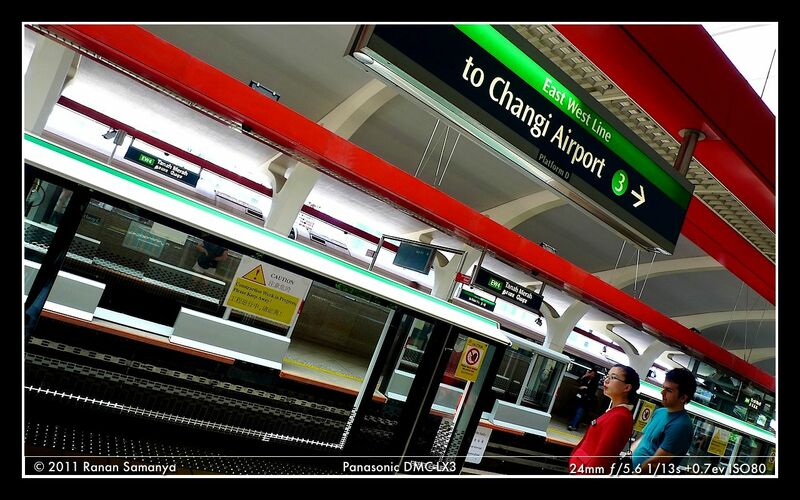 I like the overall picture and color variation of most of their MRT stations. We’ll take a look to more stations in the future as a photo-theme. To highlight the dark corners and far objects, I set the exposure compensation to +2/3 stops. Oh, and this is also my first attempt in using BorderFX plugin for Aperture. And if the color on your screen looked bleached, that’s because this mbp screen where the image was processed is so darn sharp. Here’s an edited version of the same picture.